Bonsai car, that thinks it's a Giant Redwood!! "this is not a drawing class nerd"... What? 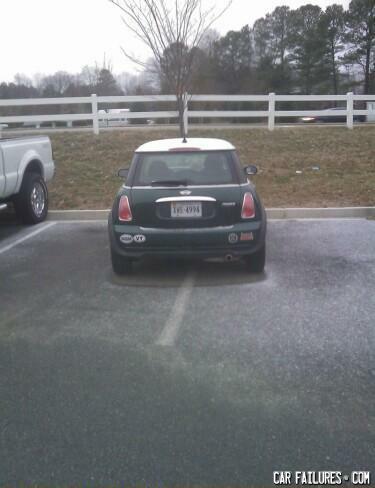 Mini Cooper is so big it needs two spots! ""this is not a drawing class nerd"... What?" - Means he can't keep it between the lines you derp!